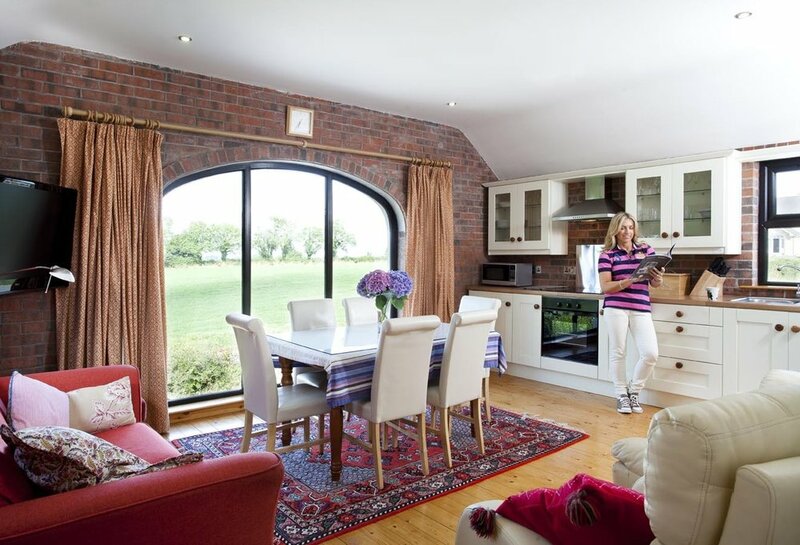 You will feel instantly relaxed as you settle into your surroundings at Lisnacurran. We have 38 bed spaces, across 11 rooms and all rooms are furnished with a mix of modern and antique finishes. Rooms can sleep various configurations up to a maximum of 6 persons sharing. Some rooms are pet friendly and we have one disabled access room. All guests have access to our hot tub, sauna and gardens. Whatever room you choose, you’ll certainly enjoy the perfect night’s sleep. Plunge into our fluffy duvets, rest your head on our plump pillows and roll yourself in the finest cotton sheets. Enjoy complimentary Paul Costello toiletries. An outstanding central location in Northern Ireland, close to Belfast, Lisburn, Dublin and all major airports. We offer exceptional service, tasty food and total relaxation – at Lisnacurran we provide all the essential ingredients for a relaxing stay. The Green room, our ‘Romantic’ luxury antique style room with restful green hues. This room boasts an Irish William lV antique, mahogany half tester bed with duchess dressing table and marble topped bedside cabinets. Modern features include wall mounted TV, retro Roberts radio & tea coffee making facilities. Ensuite with heated towel rail and power shower. Our Oriental room is furnished in an Oriental style with rich colours. The room features a wall-mounted TV, retro Roberts radio & tea coffee making facilities, ensuite with heated towel rail and a power shower. The room has 1 double bed and 1 single bed, with a further child’s pull out if required. Please note the pull out bed does have a mattress, it is however, shorter and narrower than a standard single bed. We would only recommend use of this pull out for children or small adults. Our Garden Room is decorated with fresh shades of blue and white florals with a mix of contemporary and vintage style. It offers a double room with en-suite wet room & kitchenette. There is also a day bed which adds extra bed space (full size single bed) or just use it as a comfy sofa! 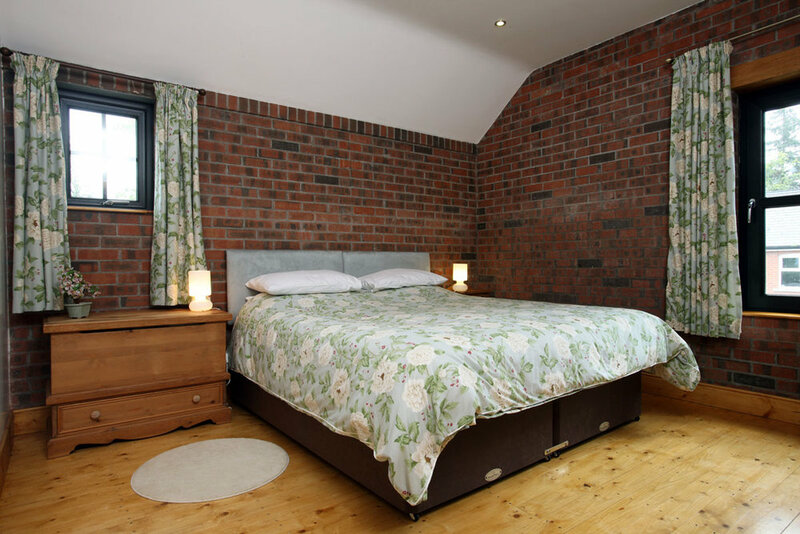 This spacious bedroom is located beneath the self catering barn and offers guests the facilities to make small snacks in the kitchenette with a fridge, microwave, toaster and kettle. The ensuite bathroom features a large walk in shower wet room, so it’s also ideal for people with physical disabilities. The living area has seating (day bed) and a chair, TV with integral DVD player, retro Roberts radio & tea coffee making facilities. Ample car parking provided just outside. This room has a rear door with direct access to the Garden Pavilion, hot tub and sauna. The Courtyard room is decorated in a country style theme with equestrian influences. There is a King size bed and an antique cast iron singe bed. Modern features include wall mounted TV, retro Roberts radio & tea coffee making facilities and ensuite with heated towel rail and power shower. This room is connected to the Parlour Room with a small private lobby, which makes these rooms a great choice whether you need 1 or 2 rooms. This room benefits from direct access onto the courtyard, but not the main house. Our 4 person family room was converted from an old milking parlour. You can still see the old terrazzo floor in places! A King size bed and bespoke bunks with mini staircase make this room great for families. The staircase is so easy to use that even adults are not put off by the quirky bunks! Modern features include wall mounted TV/DVD, retro Roberts radio, tea & coffee making facilities and ensuite with heated towel rail and power shower. This room is connected to the Courtyard Room with a small private lobby, which makes these rooms a great choice whether you need 1 or 2 rooms. This room benefits from direct access onto the courtyard and the main house. Our popular supersized room! Named in honour of the famous Hillsborough resident Professor Pantridge who invented the heart defibrillator. This superior room is in our newly added east wing. Styling is a more modern soft scheme of muted greys with a little splash of colour in Irish linens and rich velvets with little industrial style features throughout. The Bunk beds were made bespoke with a user-friendly staircase and excellent adult head height. Internet TV with Netflix, retro Roberts radio, Nespresso coffee machine, fridge, microwave and kettle. Named in memory of Hillsborough born Sir Hamilton Harty, a famous early 20th Century composer. This superior room is in our newly added east wing. Styling is a more modern soft scheme of muted greys with a little splash of colour in Irish linens and rich velvets with little industrial style features throughout. Internet TV with Netflix, retro Roberts radio, Nespresso coffee machine, fridge, microwave and kettle. The Shower has a bluetooth enabled speaker in the mirror unit for those who enjoy beats in the bathroom! Named in honour of Hillsborough resident Harry Ferguson of the world famous Ferguson tractor, which took his name. This superior room is in our newly added east wing. Styling is modern and soft with muted greys with a splash of colour from Irish linens and rich velvets, we’ve included little industrial style details throughout. 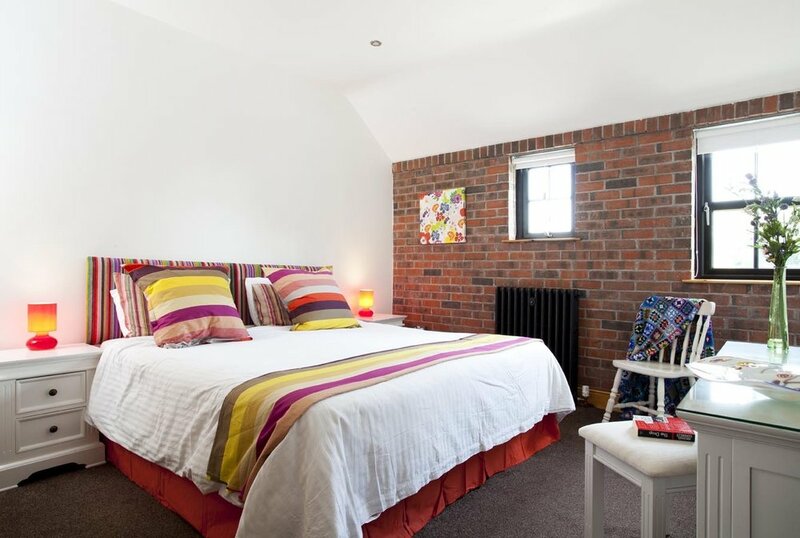 The Barn is NITB 4 Star approved & furnished with an eclectic mix of colour and knits and embroideries, shabby chic in style. It has a strong traditional feel with features including cast iron radiators, exposed brick and wooden floors throughout. The kitchen has everything you need to cook for a short stay. This accommodation has external steps leading to the entrance and is not suitable for guests with mobility issues. Please note dining and seating space is for 6. At maximum capacity there is little space for entertaining but if guests have family or friends visiting they are welcome to use the space in the main guest house. Please call to discuss prior to booking if this is required. The Hot tub and sauna is located in the garden pavilion at the foot of the steps to The Barn and is well placed for the garden play areas for children. The BBQ patio area with fire pit for toasting marshmallows is a popular feature. Heating is included. An electric card for the Barn is purchased on arrival £5 for 1-3 days or £10 for 4-7 days.